Transient (or per-session) cookies: These only exist for the duration of your site visit and are deleted on exit. Persistent (or permanent) cookies: These are stored on your machine until expiry or deletion. They allow the site to recognise you when you revisit. .onixs.biz (_utma) - This cookie helps us determine the number of unique visitors to our website. .onixs.biz (_utmz) - This cookie helps us determine the referral method for people visiting our website. This helps us to analyse the traffic arriving at our website and to determine which are the most popular routes (e.g. direct, search engine search, email link). We use the information within these cookies to compile reports and to help us improve the site navigation and content. The cookies collect information in an anonymous form, including your IP address, operating system and browser type, where you have come to the site from, the number of and specific pages accessed. These do not identify any individual. These are used purely to personalise the browsing experience within our online support systems. You are not obliged to accept cookies that we send to you and you can modify your browser so that it will not accept cookies from selected sites, or at all. But they do no harm and should be useful to you and us. To enable or disable cookies, follow the instructions provided by your browser (usually located within the “Help”, “Tools” or “Edit” facility). Alternatively, an external resource is available at www.allaboutcookies.org/manage-cookies providing specific information about cookies and how to manage them to suit your preferences. At OnixS, maintaining customer trust, confidence and confidentiality is a critical business priority. These terms describe how we treat non-public personal information obtained in the course of providing our products and services. When we say ‘personal information’ we mean personally identifiable information about you. This includes details like your name, employer, email address, physical address, telephone number, payment information, support queries and business communication interactions. OnixS does not provide business level transactional data processing on behalf of OnixS customers, thus use of personal information is limited to enabling us to provide product and associated support services for the design, testing, licensing, invoicing and supporting OnixS software products, promotion of our products and services, to maintain our accounts and records, and to manage our own staff. This includes storing and processing personal information about our customers, prospects, employees, suppliers and individuals necessary for the sales and support of OnixS software products. Based on the internal business applications that OnixS uses in provision of the OnixS product support services to you, it may sometimes be necessary to store or transfer personal information overseas. When this is needed information may be transferred to countries or territories around the world. Any such transfers made are in full compliance with all aspects of the Data Protection Act (DPA) and General Data Protection Regulations (GDPR). We may need to share the non-public personal information we process with the individual themselves and also with other organisations. Where this is necessary we are required to comply with all aspects of the Data Protection Act (DPA) and General Data Protection Regulations (GDPR). Where necessary or required we share information with: (i) associates and representatives of the person whose personal data we are processing; (ii) suppliers and service providers; (iii) professional advisers and consultants; (iv) financial organisations; (v) credit reference agencies; (vi) debt collection and tracing agencies: (vii) employment and recruitment agencies; and (viii) central government and government bodies as required by law. OnixS will never share personally identifiable information with any third party outside of these obligations - ever. Retention: The length of time we keep your personal information depends on what it is and whether we have an ongoing business need to retain it (for example, to provide you with a service you’ve requested or to comply with applicable legal, tax or accounting requirements). We will retain your personal data for as long as we have a relationship with you and for a period of time afterwards where we have an ongoing business need to retain it, in accordance with our data retention policies and practices. Following that period, we’ll make sure it’s deleted or anonymised. 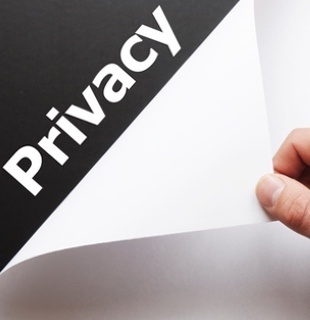 The personal information is your personal data and you have certain rights relating to it. When it comes to marketing communications, you are assumed to be opted out unless you specifically agree to opt in, and you can ask us not to send you these at any time – just follow the unsubscribe instructions contained in the marketing communication or send your request to privacy@onixs.biz. Data Security: Security is a priority for us when it comes to your personal information. We’re committed to protecting your personal data and have appropriate technical security and organisational procedures in place to make sure that happens. Not happy with OnixS use of your personal information data? If you’re not happy with how we are processing your personal information, please let us know by sending an email to privacy@onixs.biz. We will review and investigate your complaint, and try to get back to you within a reasonable time frame. You can also complain to your local data protection authority. They will be able to advise you how to submit a complaint. Onix Solutions Limited (“OnixS”) (UK company registered number 05416802) is registered with the United Kingdom Information Commissioner's Office under registration reference ZA205075. Any queries related to data privacy or data protection can be addressed to the OnixS Data Protection Officer (DPO) at email address of dpo@onixs.biz as the designated role for ensuring compliance with any regulatory requirements.